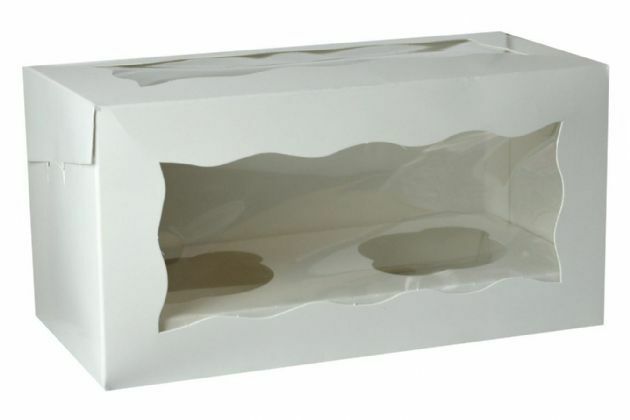 Boxes in white & colourful designs with an insert for a single Cupcake/Muffin. Boxes in many colours and designs with inserts for 6 cupcakes/muffins. Choice of 3" or 4" deep.